Career Development assists students in developing the skills necessary to make the transition to their chosen careers; gain valuable work experience through internship programs, and continue their education in graduate or professional schools. 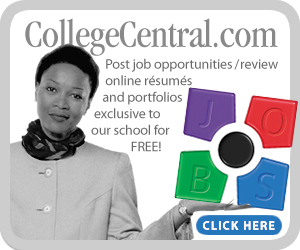 We encourage employers to post jobs targeted to Briar Cliff University students and alumni on our College Central Network. The network is a great resource to connect with potential candidates, and also to browse portfolios and résumés of hundreds of current and former BCU students!